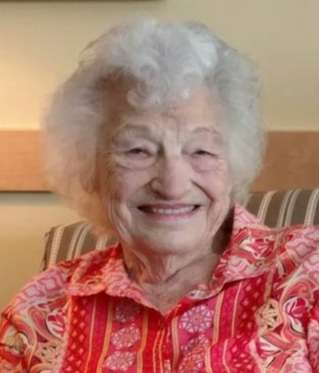 Bernice C. Halverstadt, age 94, of Hartville, died Saturday, April 6, 2019 at Bethany Nursing Home in Canton. She was born October 2, 1924 in Marlboro, Ohio to John and Nellie (Miller) Sweitzer. A graduate of the former Marlboro High School, Mrs. Halverstadt worked at Goodyear Aircraft during W.W.II, then McCaskey’s Register as an assembler, before working in the cafeteria at Marlington Middle School. She was a member of The Chapel in Marlboro. Survivors include three sons, Donald R. (Deborah) Halverstadt of Canton, David W. (Linda) Halverstadt of Alliance, and Randy L. (Julie) Halverstadt of Dallas, Ga; 13 grandchildren; and 15 great-grandchildren. Services will be held at 5 p.m. Thursday, April 11, 2019 at Cassaday-Turkle-Christian Funeral Home. Friends may call two hours prior to the service. Interment will be at Marlboro Cemetery. Memorial Contributions may be made to the National Parkinson Foundation of Ohio, 2800 Corporate Exchange Dr. Ste. 265, Columbus, Ohio 43231. Arrangements are by Cassaday-Turkle-Christian Funeral Home, Alliance, Ohio.